My collection had grown substantially, and I bought some -what I'd consider- really nice pens along the line. But with the Tilburg Pen Show coming up (this was somewhere late august, september), I realised that I had nowhere to put them in if I wanted to take some with me. I did have my Lamy three pen pouch, which had been, and still is, my EDC case. But I felt like that didn't offer enough protection, especially for the more expensive pens. 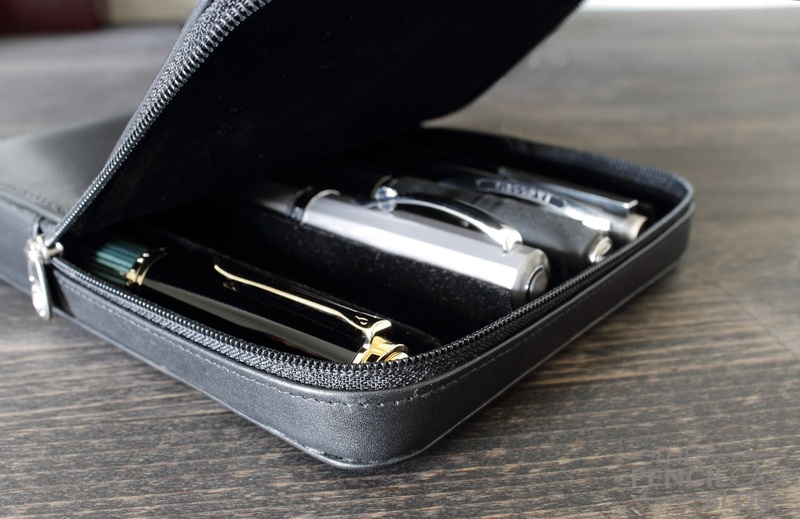 So I had to buy a new pen case, and I also realised that -quite ironically- despite this blog's title, I had never done any reviews on pen cases (or pencil cases if you will)! So I immediately thought about the Franklin-Christoph penvelope cases, but knowing the Belgian customs office, I knew I'd end up spending quite a bit on declaration costs, which is a pure waste of money. 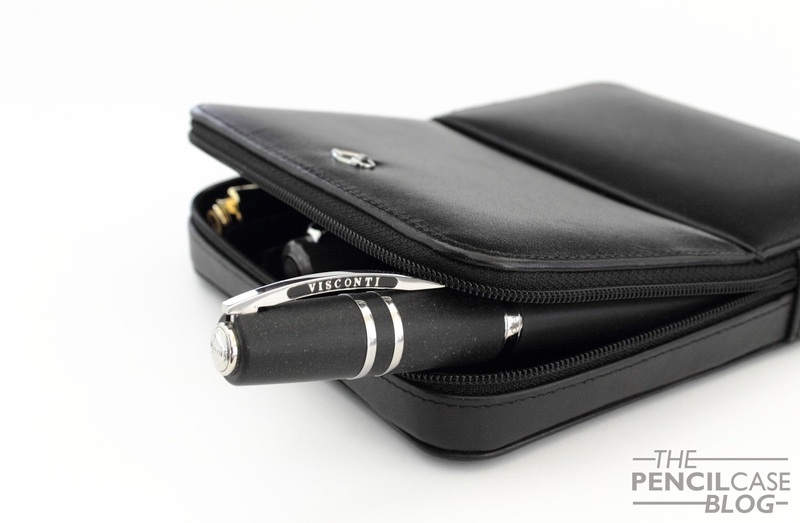 So I searched for something I could find closer to home, and I found this: The Visconti Dreamtouch 6-Pen Hardcase! 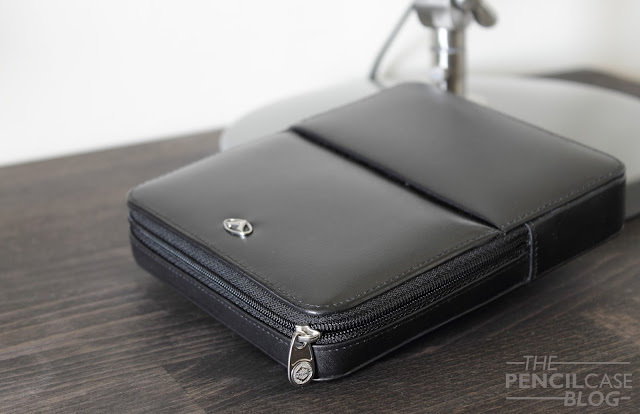 I ordered one right away from Penworld, because apart from the fact that it looked like it would do a much better job at protecting my pens than the lamy case, it was also relatively affordable (compared to what I'd pay for a Franklin-Christoph case after customs charges). 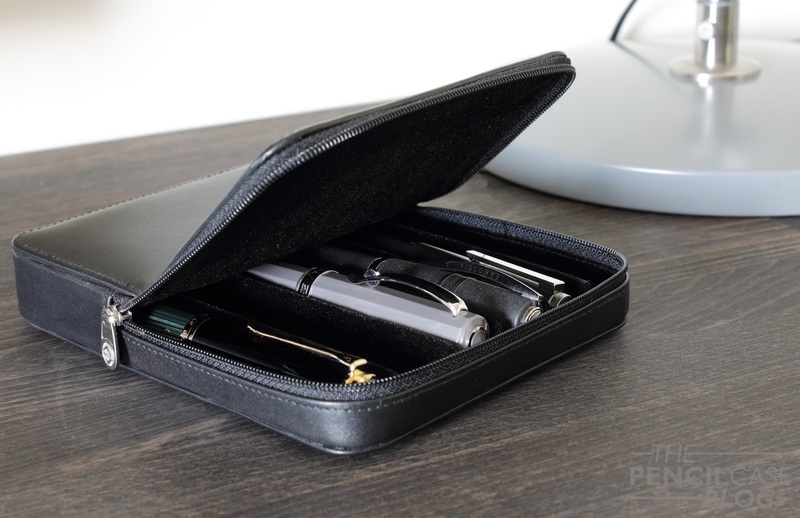 About eight months later, and I'm still using the Dreamtouch case daily to protect and transport my 'finer' pens! 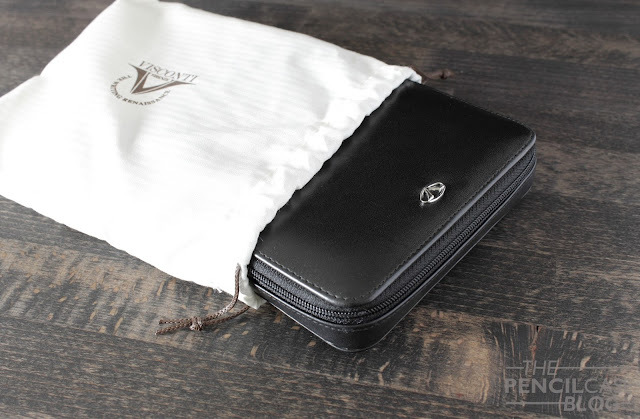 It's a pretty bulky, large case, made entirely out of full-grain leather, and finished with Visconti's Dreamtouch procedure, which is used on all of their leather accesories. Construction on this case is top-notch. It's stitched all the way around, and the edges are nicely folded over and stitched together. The slots are made up out of hard strips of plastic or something (? ), covered in soft, black velvet. The only thing missing would be a protective edge on the inside that protects the pens from coming into contact with the zipper, but that's just a minor complaint. The Dreamtouch case, being a 6-pen model, is obviously quite a lot bigger than the Lamy 3-pen case (16cm/6.25in high, 13cm/5.25in wide, 2.7cm/1in deep). But even if it were just for three pens (which is also available, along with a 1-, 2-, and 12-slot version), the Visconti Dreamtouch would still be noticeably bigger. 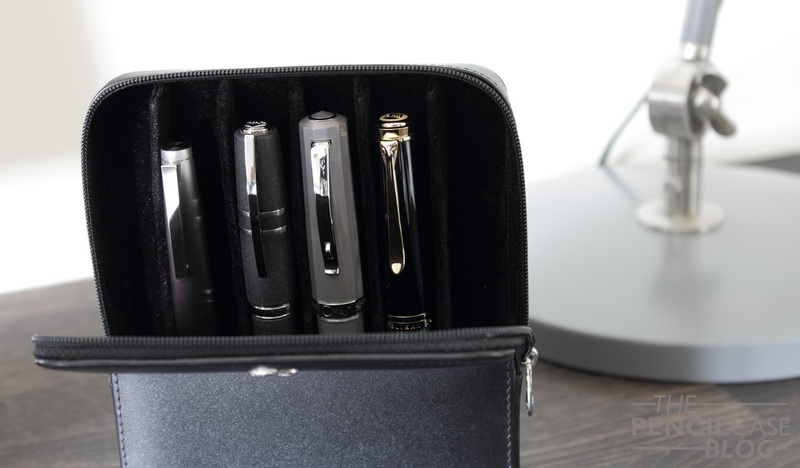 That's because of the way it is designed: the Lamy is a softcase, which means it can expand to accommodate larger pens. But with normal pens, it's relatively flat. The Visconti on the other hand, is a hardcase. No matter what size pens you put in it, the slots will always stay the same size (I assume there are plastic or cardboard pieces inside that retain the shape of the case). Being from Visconti's hand, and knowing their love for larger pens, they made the slots pretty sizeable. 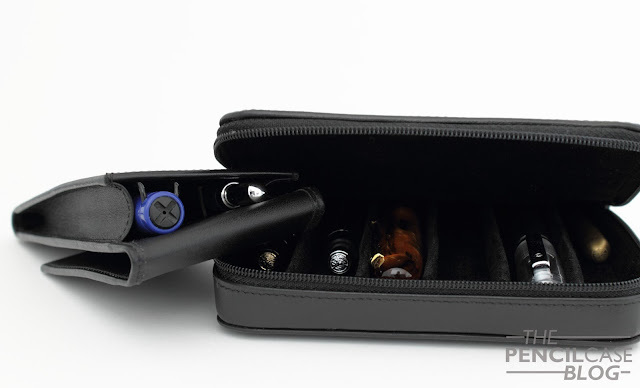 It easily accommodates oversize pens like the Omas Paragon, or Delta Dolcevita OS. Pens of up to 15cm long (5.9 In), and 1.8cm wide (0.71 In) should fit quite comfortably. The large size slots are a benefit, but also a downside for me. If you put in 'smaller' pens, even something like an M800, it'll sit quite loose, and rattle around inside. I don't think that it'll actually damage the pens, but nevertheless it feels like it might be just a bit too big for some pens. If you're into oversize pens, this will be ideal, and it'll fit pretty much everything up to a certain point (Those ridiculously huge Japanese maki-E pens might not fit...). But if you want to store your collection of Kaweco Lilliputs, it might look a bit ridiculous (yes, I tried)! So it's all about perspective. 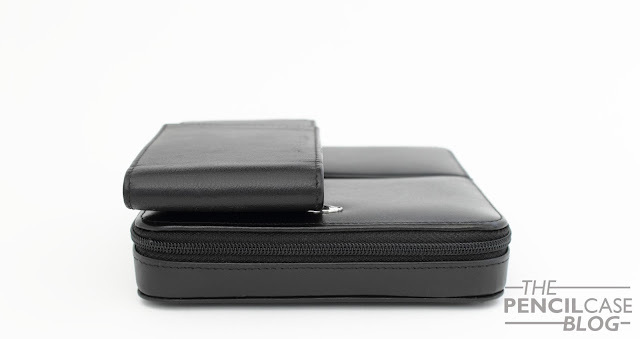 Perhaps if you don't need the best protection, or if you have normal sized pens, the Lamy case could be an equally good option, at a lower price. Yet if you want a really nice case, nicely made, and something that protects your pens really well, the Visconti Dreamtouch is the one. 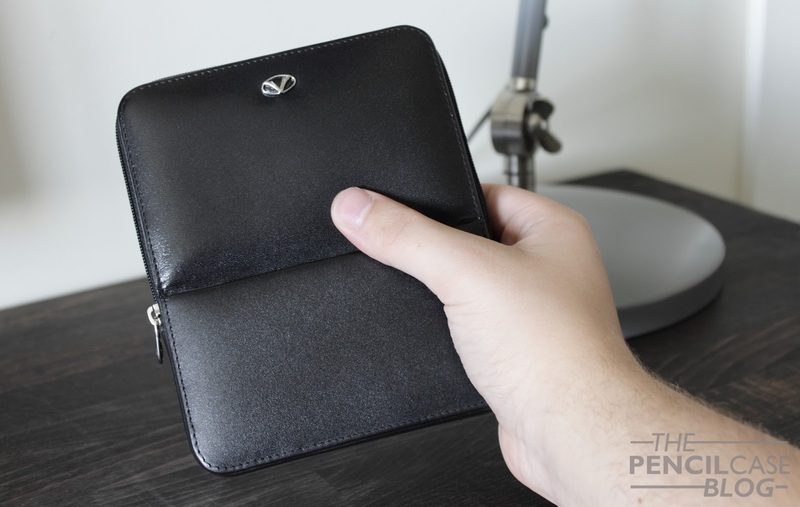 At 85 EUR / 95 USD, it's not exactly the cheapest case (if you live in the US, that FC Penvelope might still be a better deal), but it does what it's supposed to do, and it has been in good use ever since I bought it! Note: Penworld is a sponsor of this blog. I received a discount on purchase of this product, so I could write this review. I was in no way influenced in the making of this review, the opinions shared here are completely my own! This review does not contain any affilate links.